Eyelash business has low barriers, low cost, no customs restrictions, Express delivery is very convenient. Thousands of people rush to this industry every day. Every day many people open Ali website to start eyelash business…. On social platforms also have A lot of people started the eyelash business… there are so many people do eyelash business, but only a few people do well, why is your eyelash business not successful? Dear customer, have you reflected on it? Doing things blindly only leads to ruin. Some people just know the others who do 3d eyelashes business earn money,have profits, then blindly choose to do eyelash business,and thought that can make money by getting the goods. Because it is not professional,and don’t know how to distinguish lashes’s stand or fall, which kind of eyelashes can be chosen, so it is easy to choose cheap lashes. The cheap lashes are all rubbish, made by cheap workers. The quality of the products is really poor, and on the market no one recognize them, so lead to large inventory. 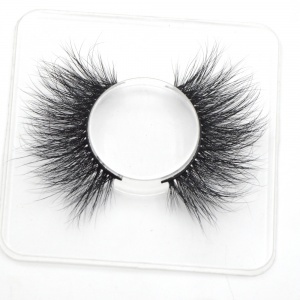 Because they don’t know about the suppliers, in order to get orders,some suppliers show customers pictures of the most popular styles eyelashes, quote high price, in fact the quality of bulk order is different from samples,Or the quality of the varies. 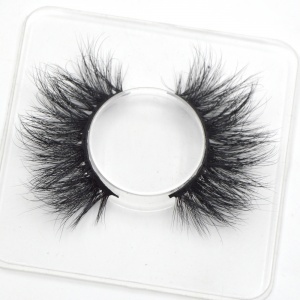 Eyelashes are handmade products, the experienced workers in the market are very expensive, and the products are available for sale. Pure handmade products are integrated with some characteristics of enterprises and individuals, and the 3D false eyelash cannot be imitated. This leads to the picture and bulk order of middleman are different.the middlemen’s reputation is lost! So lose the market! Products and reputation have not left a good impression in the minds of consumers. Even if you get good products and don’t have the right sales ideas, your eyelash business is hard to make! Dear customer, nothing can be simply successful。 With good products, good platform, good marketing strategy, sales ideas that suitable for product , good suppliers who can help you solve problems,Only those who do their work painstakingly can succeed some day.